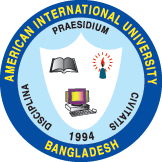 After successful completion of a seven day long study trip to India, a group of seventeen students accompanied by six faculty members have safely arrived Dhaka on January 15th, 2011. The tour was arranged by the Architecture department as a part of the academic curriculum of Architectural history course. During their stay in India, the group visited a number of Architectural heritage sites and historical edifices in Bhubeneshwar, Puri and Konark in Orissa and Kolkata in West Bangle. To ensure a quality academic environment and practical experience, the Department of Architecture of AIUB has always promoted fieldtrips to different sites on different occasions within the country. For the first time, the department organized a study trip abroad to India from 8th to 15th January to explore the glorious histories of Indian Temple architecture. On January 8th, the group of students including faculty member Dr. Sanjib Barua , Saimum Kabir, Md. Mizanur Rahman, Sariful Islam, Irfat Alam and Khandaker Assifuzzaman set out for Kolkata on their way to Bhubeneshwar. After visiting a number of temples including legendary Lingaraja temple, the group left Bhubenshwar for Puri, a ceremonial place for the Hindu pilgrims. During their stay at Puri, the group explored the city and visited magnificent Sun temple at Konark, 30 km away from the city and a famous Buddhist Stupa at Deuli known as Deuli Shanti Stupa constructed by Emperor Asoka after the great Kalinga War. Some of the members enjoyed the Kalinga Dance Festival based on the historical development of Orissan traditional culture. Visit to Safari Park and Dolphin Point at Chilka added a different touch. On their way to departure, the group halted at Kolkata and visited Victoria Memorial Palace, Planetorium and Science city. The historical Manna Dey’s “Coffee House…” and Hemonto Mukhurjee’s “…Ekhane Anodho Golir Noroke Muktir Byakulota..” also tuned in with the Tour Episodes. As a follow up of the tour the group is preparing a slide presentation illustrating their experiences and learning during their stay in India. The Department would like to express its most sincere gratitude to the administration, specially the Honorable Vice Chancellor for the support extended to make this event a success. Special thanks to Dr. Prof. Toffazal Hossain whose cooperation and inspiration meant a lot for the participants.